Jefferson Lab’s Continuous Electron Beam Accelerator Facility has confirmed production of charm quarks following a recent upgrade. Get the details here. 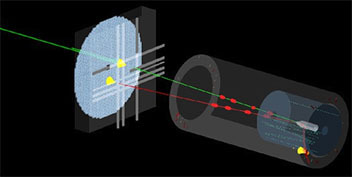 The determination of resonance properties of hadrons is a major focus of experiments in Halls B and D at Jefferson Lab, as well as worldwide. The Hadron Spectrum Collaboration has been using lattice Quantum Chromodynamics methods to calculate πK elastic scattering amplitudes. In two recent papers, they have investigated πK elastic scattering, searching for a resonance in the S-wave channel, and πω and πϕ scattering, in which the b₁ resonance was observed. We’ve all heard it before; Don’t text and drive. The National Safety Council recognizes Distracted Driving Awareness Month in April because of the staggering number of lives regularly lost due to distracted driving. Nine Americans die and 100 are injured in distracted driving crashes every day. Jefferson Lab prohibits distracted driving, including texting and driving, when operating company vehicles. Learn more about the policy here. Newport News Fire Department Station 6 will be at Jefferson Lab this week to conduct emergency response training exercises. The exercises will continue today, April 18, through Friday, April 19, behind the North Access Building (Bldg. 67) and the Central Utility Plant (Bldg. 60) on the accelerator site. The event will include hands-on exercises involving transportation of chemicals. More information about the exercise scenario can be found in the full staff memo. The DOE Office of Science has reaffirmed their commitment to diversity, equity and inclusion in their most recent Diversity, Equity & Inclusion policy and procedures update in an effort to prevent harassment and discrimination and to improve workplace relations. Jefferson Lab is committed to these initiatives showcased through our Diversity and Inclusion Council. To learn more about the council initiatives, click here. Don't forget to sign up for the American Red Cross Blood Drive on Tuesday, April 23, 10 a.m.-4 p.m. in CEBAF Center room F113. New and repeat donors are encouraged to attend. Walk-ins are always welcome. For eligibility and scheduling information, see the full memo. 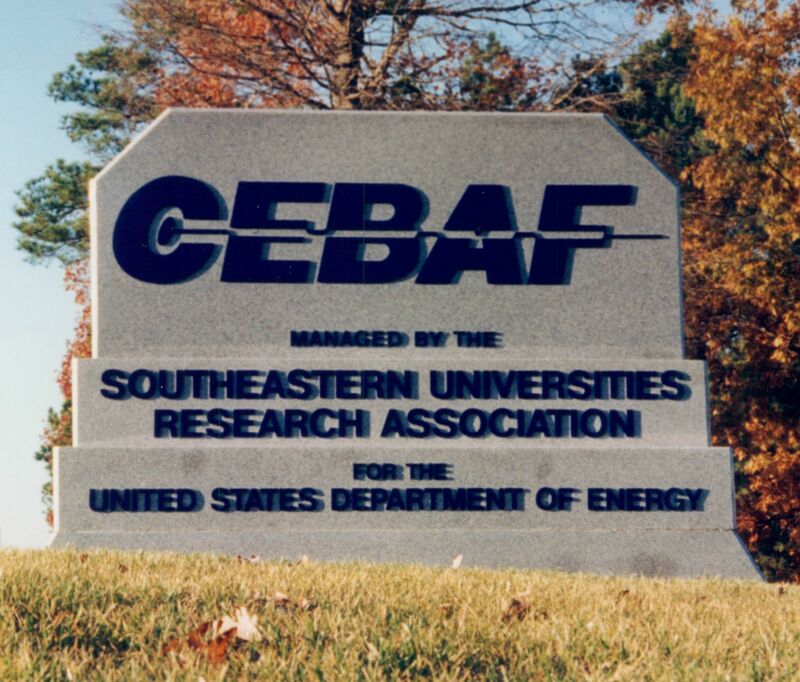 Jefferson Lab will host Professor Leo Piilonen on Wednesday, May 1 at 3 p.m. in the CEBAF auditorium where he'll describe the Belle II experiment at KEK. Piilonen will detail the second-generation B-factory detector Belle II and accelerator SuperKEKB that have begun operation at the KEK laboratory in Japan. Get the details here. Jefferson Lab Activities Group is on the hunt for Run-a-Round volunteers! The lab is searching for photographers, beer and food tent operators, field setup volunteers and more! Lab employees can register to run, sign up to volunteer and learn more about the Run-a-Round here. Jefferson Lab is seeking candidates for the 2019-2020 MFURA program. Through the MFURA program, a minority or female undergraduate will work on a Jefferson Lab-related project at their university during their academic year. This program is supported by the JSA Initiatives Fund program. Get the details here. A SOTR Jefferson Lab training session will take place Thursday, May 23, 8:15 a.m.–1 p.m., in room 47 of the Support Service Center (Bldg. 28). Anyone who has been tasked to serve as a SOTR is required to attend the training. Register for the GEN020 course here. Hi, hello there. Have you made it this far? Rebecca Duckett here. I’m new to Jefferson Lab and I’ll be taking over the JLab Weekly newsletter. As you know, JLab Weekly provides information on the status of safety, accelerator operations, experiments, reviews, upcoming activities and special events. Have something you want to see in the Weekly? Send your submissions my way at duckett@jlab.org with the subject line “JLab Weekly” before Tuesday by 10 a.m. for consideration. I look forward to hearing from you soon! Raza Sabbir Sufian, Joseph Karpie, Colin Egerer, Kostas Orginos, Jian-Wei Qiu, and David G. Richards. "Pion valence quark distribution from matrix element calculated in lattice QCD." Phys. Rev. D 99, 074507, (2019). Remember to submit your papers for approval to the Jefferson Lab Publications database. The winner of last week's Mystery Science Theater Photo ID contest is Kelly Webster! Enter for your chance to win a $10 Amazon gift card online or by visiting the display in the CEBAF Center lobby. This week's entry period runs from April 15-19. See the rules online. Peep the photos here. This week's photo of the week is a look back at the sign on Jefferson Avenue before the lab changed its name to Thomas Jefferson National Accelerator Facility. Check it out here.